Cosmetic surgery starts with the desire to improve one’s appearance. At our Mountain View plastic surgery practice, we believe cosmetic surgery is more than a surgical procedure. It is a true blend of art and surgical craft. For over two decades, Samuel N. Pearl, M.D., the founding doctor of our state-of-the-art cosmetic surgery center, has labored tirelessly to make the cosmetic surgery dreams of Mountain View, Palo Alto, Los Altos, Sunnyvale, San Jose, and Bay Area residents a reality. Dr. Pearl believes that the relationship between the artist and his subject is personal, ongoing, confidential and rewarding. 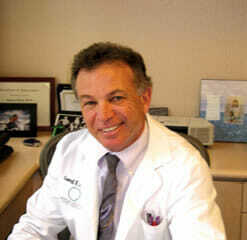 Dr. Pearl is a premier San Jose plastic surgeon. Dr. Pearl’s unwavering reputation and expert cosmetic surgery skills attract patients from across Northern California, including Mountain View, Palo Alto, Los Altos, Sunnyvale, Cupertino, San Jose, Santa Clara, Saratoga, Campbell, Menlo Park, Silicon Valley, Atherton, and Peninsula. His reputation for quality care also draws patients from as far as Oregon, Washington, and even Hawaii. He is the artistic choice for those requiring the finest results in cosmetic plastic surgery.